Open this book and become shining stars in areas such as family, finances, education, and much more. Jesus said Christians are the "lights of the world"; Paul said they are to "shine like stars in the universe." These bright metaphors are a bold contrast to the ever-increasing darkness of evil that fills our world. Can Christians change the world as we have always believed? Can we turn the tide for good in our society? 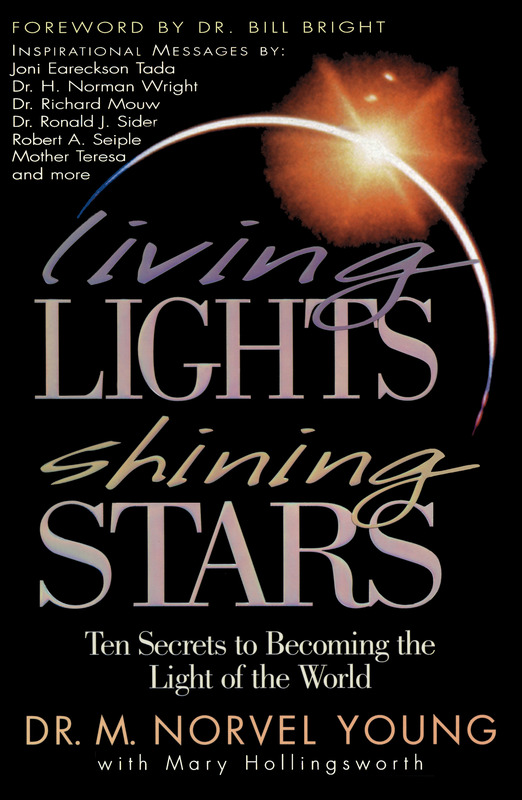 With inspiring messages from Joni Eareckson Tada, Dr. H. Norman Wright, Mother Theresa, Dr. Ronald Sider, and others, Dr. M. Norvel Young reveals ten practical and inspirational ways you can become the "living lights" Christ called you to be. Dr. M. Norvel Young currently serves as chancellor emeritus and senior advancement officer of Pepperdine University in Malibu, California. Under his leadership as president, Pepperdine moved from a small college of 950 students to one of the most respected universities in America, having five schools and 6500 students. Dr. Young has received an astounding list of awards, such as the George Washington Medal of Honor from the Freedom Foundation of Valley Forge (twice); the Carol Award (1991); La Academia Mexicana de Dereche International (1991); and three honorary doctoral degrees from the College of Physicians and Surgeons at the University of California, Lubbock Christian University, and Pepperdine University.